New Delhi: Entrepreneurship Development Institute of India (EDII), an acknowledged national resource Institute for Entrepreneurship Education, Research, Training & Institution Building will include training on teaching methodology in its Business Hindi course for Chinese students. The Institute will commence sixth batch of nine months ‘International Advanced Business Hindi’ course likely to commence from mid or late August. This year, about twenty five students from China have expressed their desire to enrol for the same. To add to the course and to the experience of participants, the teaching methodology training has been included post suggestions received from students of earlier batches, many of whom came from academic background. Approximately 100 Chinese students have undergone ‘Business Hindi’ course at the Institute in last five years. Out of total, around 40% found job in India after learning Business Hindi. 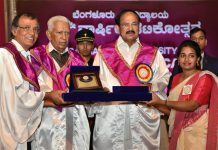 This course was initiated with a motto to promote the national language Hindi as well to add to the cultural exchange between the two neighbouring countries. Apart from management lessons in Hindi, this course includes details about Indian culture, cuisines, festivals and literature. Dr Jha said the Institute tries the inclusion of newer areas as per the interest of the participants every year to ensure qualitative value addition amongst the participants; enriching them with better experiences and adding more number of Chinese students for this course. 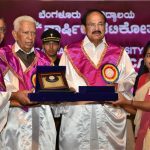 “Two years back we had highlighted Drama; last year we stressed upon Yoga and this year we will include teaching methodology training as part of nine-month course. 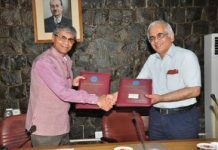 We are confident that we will receive positive response from new batch for this inclusion,” said Dr. Jha.